St Gregory of Nyssa was one of the youngest of a family of ten, five brothers and five sisters, nearly all of whom, including their parents, are honoured as saints. He was strong in his defence of the divinity of Jesus and of the Holy Spirit. Patrick Duffy outlines his life. Gregory’s eldest sister, St Macrina the younger (19th July), had a great influence on him. A discussion he had with her as he attended at her deathbed and she looked forward to what lay ahead was later expanded by Gregory into a treatise entitled On the soul and the resurrection. Two other brothers were bishops and saints, Basil of Caesarea (2 January) and Peter of Sebaste. Another, called Naucratius, was a monk. Gregory was a theologian and spiritual writer of great authority, especially in the Eastern Church. Gregory was born at Caesarea in Cappadocia (south-eastern Turkey), the third son and one of five brothers and five sisters. His father was a rhetorician and his mother Emelia an earnest Christian and woman of great personal charm. His elder brother Basil became bishop of Caesarea. Gregory had an excellent education as a rhetorician at Athens. He may have married a lady called Theosebeia, possibly the sister of his friend Gregory of Nazianzus, who wrote to him a letter to console him on her loss. For a long time he may have remained unbaptised. After some years he became disillusioned with his career as a professor of rhetoric. St Gregory of Nazianzus prevailed on Gregory to devote himself to the service of the Church. He was ordained in 362; it is not known whether his wife died or became a nun. He gave himself to studying the Scriptures and the works of the Christian writer Origen. 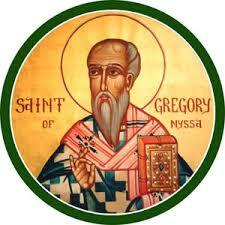 In 371 Gregory was installed as bishop of Nyssa, a small township in Lower Armenia, by his brother Basil. However, a financial scandal, where he appeared too easy-going, caused him to be excluded from his see for two years, but he was reinstated in 378. It was only after Basil’s death in 379 that his gifts as a theologian and writer developed. He became the mainstay of orthodoxy against the Arians throughout Cappadocia and was one of the champions of orthodoxy at the Council of Constantinople (381). And by the time he died he was a greatly respected figure in the Eastern Church. He was also in favour with the emperor Theodosius, who asked him to preach at the funeral of his daughter Pulcheria. He died in the same year as Theodosius 395 AD. Many of Gregory’s writings are extant. In theme, they resemble the writings of the other Cappadocian fathers – Basil and Gregory Naziazen – asserting the divinity of Jesus and the Holy Spirit against different forms of Arianism (denying the divinity of Jesus) and Macedonianism (denying the divinity of the Holy Spirit) – but probably have a greater clarity and depth. 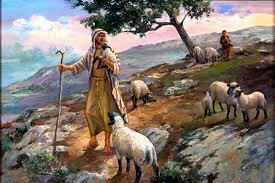 Among the Greeks he was nick-named The theologian and The father of the Fathers.